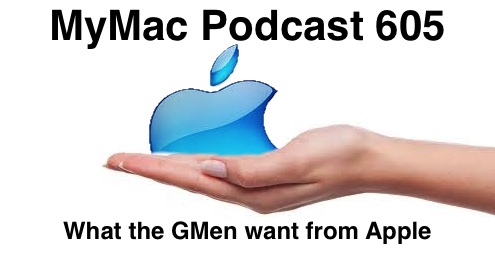 Guy and Gaz talk about what they would like to see Apple do in regards to hardware, software, services, and haircuts. Well, not haircuts because in Guy’s case what would be the point? Thanks for the great show! As per the improvements that were discussed, I would like to add to your iTunes discussion. I like the idea of being able to build a video library; although there needs to be more content offered. I would also like to see more bargin deals, such as old movies offered at prices between, $00.99-10.00. I don’t mind dropping $20 on a new movie once in a while, but I would be more likely to spend money more often if I was getting a good deal. As per the new Apple TV, I have been enjoying mine a lot, although I think they have a ways to go with their updates to make it as good as the previous model. I do love the addition of the App Store, and was happy to see they finally added an official podcast app a while back; although I seems to be a bit limiting. Once again, I like the app in the previous model better. I hope they plan to keep working with this app to improve it. Finally, I would like to leave a few words about the iPad Pro. A few months ago I finally decided to commit to the huge price tag. I did spend a lot of time researching before buying; although the Apple Pen sold me. Yes buying the device and accessories was about as much as a low end MacBook Air, but it was totally worth it. The pen works very nicely for drawing, the device has a ton of processing power, and I like reading books and magazines at close to normal size. As much as I love this device, it can be a bit cumbersome if you need to pack it around all day simply do to size. At this time I have had good luck with most apps working with the new hardware; although I look forward to apps being built or tuned for this device. Overall it has worked well for me, and I find myself using my MacBook Pro less. With that being said, I don’t think the iPad Pro will be a complete laptop or desktop replacement for me anytime soon.